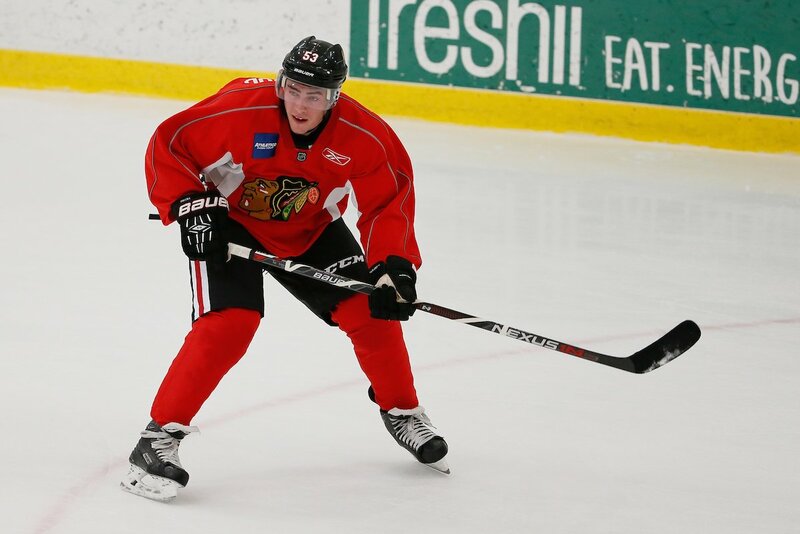 On Friday morning the Blackhawks assigned defenseman Luc Snuggerud to Rockford. Snuggerud, 22, was hurt during the preseason. After posting 31 points in 39 games in his third and final collegiate season at Omaha last year he joined the IceHogs and had one goal and four assists in 13 games in the AHL. The Blackhawks selected Snuggerud in the 5th round (#141 overall) in the 2014 NHL Draft. Smugglers is on his way. 8 not playing. Gives 5 more days to get to full health.